Want to make your sales pop this Christmas? Festive pop-up shops are all the rage for eCommerce businesses who want to maximise their sales this season. From city centre pop-up stores to Christmas market stands, indie beer brands in Chelmsford and pop-up cheese shops in Bristol, to the big boys of eCommerce like Amazon and eBay, pop-ups are becoming a quirky new way to shop for gifts at Christmas. Hey, even Kylie Minogue has a pop-up store in London this Christmas. In an oversaturated online marketplace, taking your online presence offline and creating a temporary pop-up store is a spectacular Christmas marketing strategy. Pop-up shops are a fantastic way to entice people into your store with the lure of being temporary. You get to build interest and excitement in your brand and test the popularity of your products face-to-face with Christmas shoppers. Add the incentive of Christmas to the time-sensitive nature of a pop-up shop and you have a compelling combination to grow your brand awareness and drive Christmas sales. So, how do you make the switch from the online marketplace to a physical store, ensuring the benefits make the work involved worthwhile? Here, we give you expert advice on marketing your Christmas pop-up online. With our run-down of techniques for pop-up success, we’ll make sure you’re on everybody’s wish list — and that you ‘sleigh’ your company targets for 2016. Retailers need customers to buy into their brand as much as their product, GfK stated in its report on the future of retail. Your physical pop-up store needs to seamlessly reflect your online brand. Creating synergy between your online and offline store will improve brand recognition, foster brand loyalty in your customers and keep them returning to your website for more, long after the pop-up has moved on. For a Christmas pop-up, this means ensuring your pop-store signage, colour and decor reflects the look and feel of your online eCommerce store. The stronger your branding is, the more buzz you’ll be able to generate online about your pop-up store and your online store. Create mood boards with potential designs for your pop-up store to see which ideas give the look and feel you want. You can read more tips for creating an effective pop-up shop here. Increasing your online presence with your brand’s unique image leads to increased footfall in your store, which translates into increased traffic and conversions on your site over the Christmas period, even once your pop-up store is gone. Add a banner on your website — A homepage banner advertising your pop-up shop event is a great way for your current website users to learn about the event. You could include a countdown timer to increase excitement and add a sense of urgency. Write a blog post — Feature the pop-up event in a blog post on your website in advance. You can direct website users here to find all the event details. The blog post can also be shared on your social media channels and email newsletter. It’s also worth writing up a blog post after the event to show off how awesome your pop-up store looked. Fire out an email newsletter — Many eCommerce websites will have built up a mailing list through email newsletters or subscriptions. Use your email newsletter to let previous customers know about your upcoming pop-up store. In the run-up to the launch of your pop-up store, post promotional material about the store on your social media channels. Brands with a significant social media following will find the process of promoting and revving up to a pop-up launch a relatively simple job. However, if your social media following is low, there are still strategies you can use. Create eye-catching graphics — Bold, eye-catching and shareable graphics that you can use on your social media channels are a must. Include location, date and time on the images, and create separate images to promote the ‘exclusive’ products you’ll be selling at your pop-up store. Create a Facebook event — Facebook events can generate buzz about your pop-up store in the city where you’re basing yourself. After you’ve created the event, brand the page and post images. The aim is to create a well-branded Facebook event for your pop-up that will cause friends and family to invite more friends and grow organically. Use the event page to offer incentives to attend (like a discount or exclusive offer) to encourage this. Create an event hashtag — A unique hashtag for your event can be used on Twitter and Instagram to keep track of engagement. Use this on all your own posts about the event in the lead-up and document the building of your pop-up store. Encourage shoppers on the day to post pics of themselves and their purchases on the day(s) your pop-up is up and running. Create a Pinterest board — A pop-up shop inspiration Pinterest board where you pin images of the different products, design ideas, props and other inspirations for your pop-up store is great for brands with a Pinterest audience. This technique is particularly useful for home interiors, fashion and art brands. Contact influential bloggers, vloggers and social media influencers in the area and invite them to an exclusive pre-launch party at your pop-up store. In exchange for an invite and a glass of bubbly, ask the bloggers to write a blog post about the event and ask influencers to post about your brand on their social media channels. Encourage them to take photos of the pop-up store and the products you have stocked there. Their coverage of your event and brand gives you a chance of tapping into their devoted fan-base. This is a great way to make your business known to new customers and drive more people to your pop-up store and online shop during the Christmas period — not to mention that backlinks to your website from bloggers and online new sites will improve your website’s SEO, too. I’m not usually one to recommend press releases, but pop-up shops make great fodder for local press. Write up a press release about your pop-up store and shoot it over to local news websites and papers in the area where the store will be, along with an invite to the pre-launch party. Pop-up shops are on trend and make for great local news articles right now. If you get featured online, you may also be able to gain valuable links back to your website, too. Are you an eCommerce startup or small brand? If you’re a new business or small brand and are unsure whether a pop-up store would be worth the investment, here’s a bonus tip. Pair up with other businesses in the local area to and collaborate on a pop-up store together. If you’re an eCommerce store owner without an online presence in a specific area, you might decide to work with a brick-and-mortar store in the area to make sure your shop gets local advertising from them. If you only sell a few items, pairing up with another store is a great way to make sure your pop-up is fully stocked. You may even just pair up with a local caterer or foodie business for the launch party to gain them some local press coverage alongside your own business. With effective online marketing of your Christmas pop-up store, your brand will see the benefits long after the snow has melted. Try using these strategies to market your pop-up store online this Christmas and enjoy the results that will give your business a jumpstart into the new year. Author Bio: Charlie Marchant is head of digital PR and content marketing at Exposure Ninja. Charlie has years of experience providing eCommerce digital PR consultancy to companies, helping them convert the clicks they’ve been leaking into successful sales. Pop-up shops offer brands the opportunity to connect and interact with customers in a unique way. Due to its temporary nature, it provide a huge added exposure. Test a location: Allows you to try out a space in a specific country, city or neighborhood. You can also improve your concept and product effectiveness. Build awareness: Create a unique experience and valuable relationship with your customers and invite new ones to discover your brand. Sell more: The fear of missing out (FOMO), makes a temporary shop more attractive for shoppers’ and can trigger the desire to buy on the spot. Seasonal appeal: Christmas, Easter, Mother’s Day and all the other festive days of the calendar year where you can provide a service or product to cater to the needs of the target audience at that moment. Low cost entry level: In order to evaluate if you want to sign a 5 to 18 year lease, it is a good option to try the location for a short period instead of directly investing into a long fixed period. Spots can start as little as 3 euros a day if you want to share space. (Go to Wearepopup for more information). Establish a budget: considering the cost of setup and what you want to achieve is a vital step in establishing a pop-up strategy. Your budget will define the type of location, format, and duration. If you are SMO or entrepreneur – Crowfunding sites such as Crowdfunder and Kickstarted can give you a way to get funded and provide some buzz around your project. Determine the budget in accordance with what you hope to achieve by having a pop-up. Is it purely for marketing, branding (non-sales) or do you hope to get a good return on sales? What is the focus? Perhaps a combination of both. Make sure to consider how you would spend your budget on other channels as a pop-up is a media channel as well as a retail location. Consider the price of staff, fixtures and marketing and reason for having them. Determine the schedule: Make sure to set a specific date to launch your shop. If you are opening a fashion retail shop, you might want to open it on the fringes of a fashion week for example. Scheduling your opening during holidays such as Christmas or Mother’s Day where there are more impulsive buying patterns can also trigger success. Seasons can also play a part, for example opening a bikini shop in the middle of winter may be detrimental, consider the way people shop and the time of year that your product or service may be most suitable. The existence of your shop itself is an event, make it memorable ! Decide on the location: Finding the appropriate location is the most important factor, especially if you do not have a specific target audience. 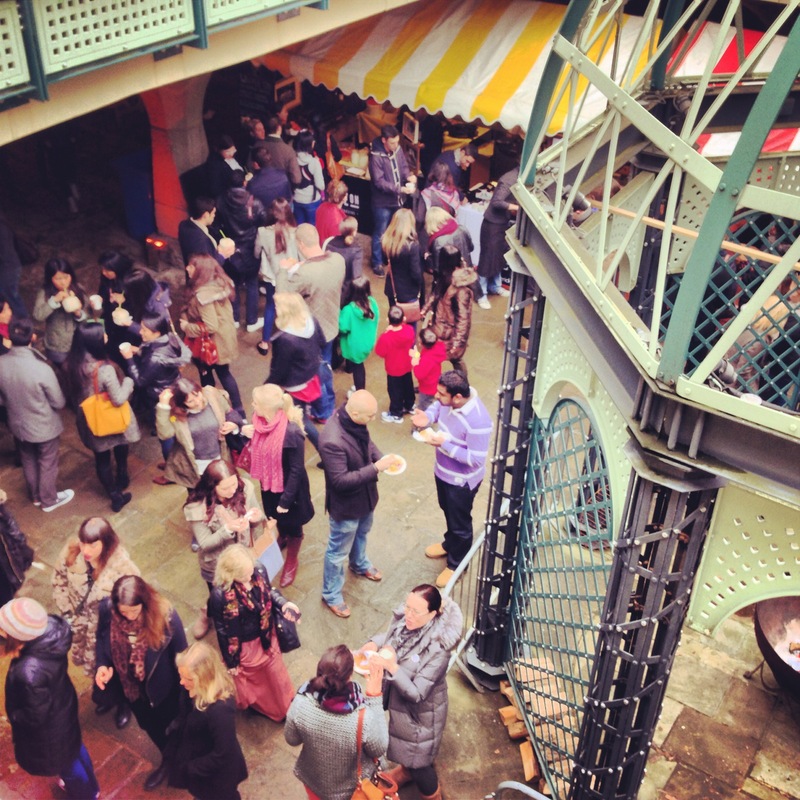 The perfect location provides visibility and footfall simply based on its proximity to a dynamic area. To find the perfect spot, do your due diligence focusing on the demographics, socioeconomics, the other retailers present in the neighborhood, visibility, footfall and vehicle traffic counts. Shared shop : We Are Pop Up’s Shop Share enables brands and retail spaces to join forces in a collaboration that is mutually beneficial. 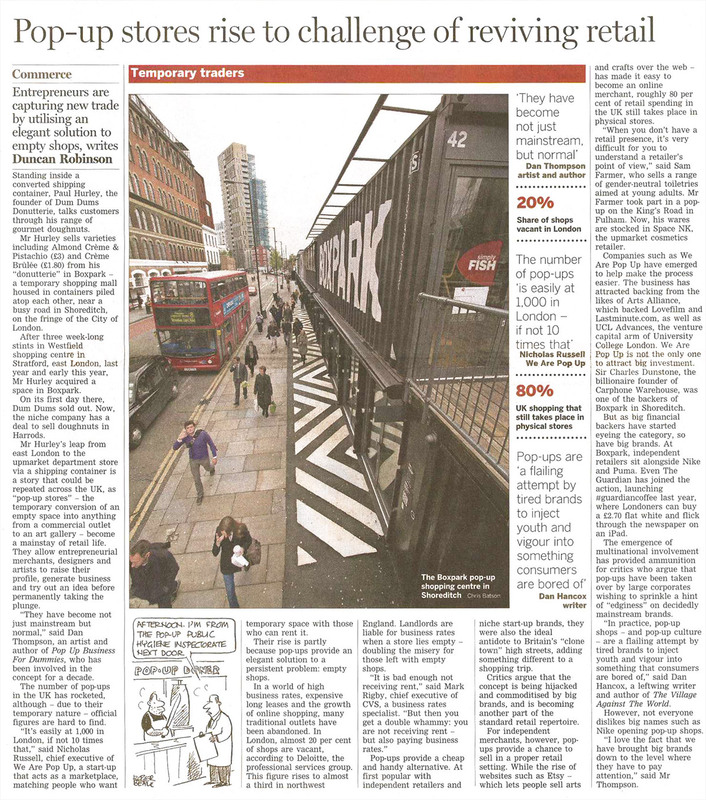 This new form of pop up allows brands to rent an area within a shop, as opposed to the entire space. In many ways this makes commercial sense, shops get new stock without paying for it, whilst brands get exposure and new customers without the big expense. You can rent a rail, table, shelf or concession, with the ability to get a better location by not renting the entire premises and sharing the costs. Gallery: With their open concept floors, galleries provide a very appealing style and carry a design approach that is perfect for sophisticated looking brands. Public space and cultural venues: You can also set up in gardens, public squares, quays and unused areas. The presence of a monument nearby is desirable for the prestige it confers. Shopping Center: The shopping center delivers massive foot traffic and a large exposure thanks to its location. It gives you credibility and grants you to everyday consumers’ interactions. Festivals & Fairs: Such marketplaces are full of people that love boutique, unique and personalized apparel, accessories and crafts. They love the idea of supporting grassroots and local companies. They represent a fertile environment for diverse ideas and bold creativity. Transport hubs: Pop-up shops give brand the chance to reach a very wide audience of waiting passengers willing to test new concepts. Take advantage of waiting time, the time of day that they are travelling, for example, morning rush hour is good for coffee lovers on the run, or small products that don’t take too much time for decision making purchases. Schiphol Airport and Made.com open branded pop up rooms at the airport. Unusual spaces: urban areas that are abandoned, neglected or under construction present opportunities for brands to invest. They aim to preserve the heart and soul of the original place, while offering unique experiences with an underground spirit. Devise a range of goods and services, a topic, anything that might satisfy your target’s interests and needs. Tell a story to empower a unique customer experience that would involve not only the product but the brand and the client. The main goal is to immerse the customers in your world to create a compelling brand experience in order to stimulate their intention to purchase and stay in their mindset in order to follow your brand. Be creative! Although your shop will be open for a short period, communication must not be neglected. The key to your success is the customer’s’ awareness of your opening. You need to get people excited and get them to plan a visit before you even open the doors. Too late and you risk the potential customers not showing up because the information didn’t reach them on time. Create an event on Facebook, Tweet frequently, establish an email campaign… Long story short, it’s time to create some buzz! Get a press release out to the media. Create a website to promote your event or a landing page. Find an original title, remind the main elements supported by call to actions buttons, embed a promotional video of your event and, do not forget the social media sharing buttons in order to make it more visible and viral. In short, consider your shop as an event; the novelty effect arouses the interest of the potential customers and brings them right to your place. With that understanding, you’ve got more than half of the job done. Now, your task is to turn pop-up shops opportunity into success. It’s a scary question for all brands just starting out, “What’s next?” You’ve had a successful run with online sales but it’s time to think about expanding and growing. Then the headaches come. “How much will rent be?” “Can I afford a place with a large footfall?” “What if I pick the wrong neighbourhood?” There are a million ways to go wrong and run your successful business into the ground. 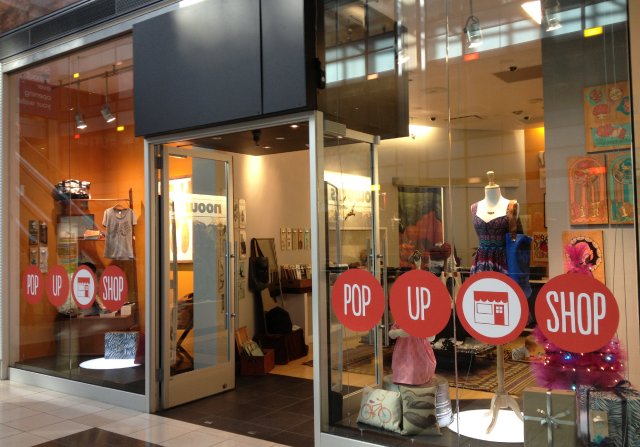 A pop-up shop is a great way to expand your business! 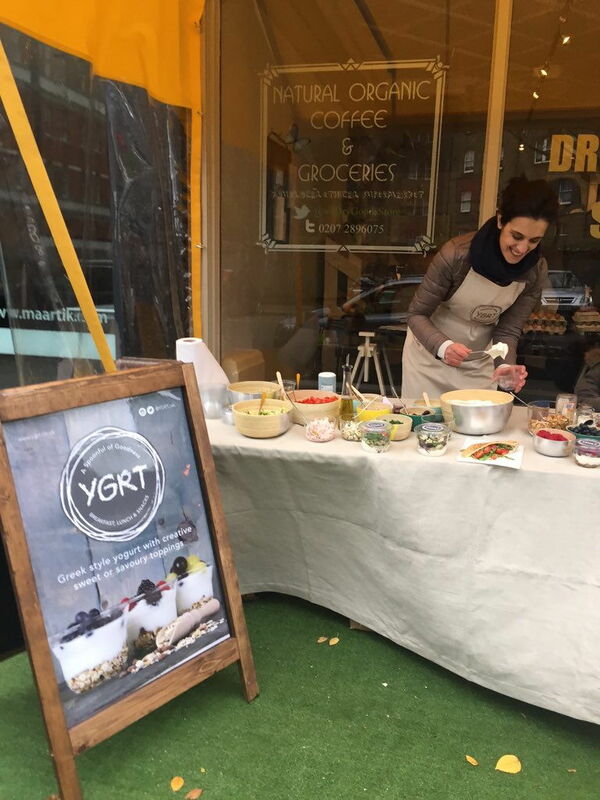 What are the benefits to doing a pop-up shop? Save rent money – Pop-ups allow you to rent out a space for a temporary period of time, saving you money by not being locked into a contract. With a cheaper rent, you’re able to spend your budget on creating a unique experience for your customers. Both brand and landlord can benefit from a pop-up store. Filling a location that isn’t making the landlord any money can be very helpful while they look for a more permanent resident. Test out different locations/New variety of customers – Not all neighbourhoods are created equally. Researching locations and neighbourhoods is always helpful but sometimes reality doesn’t reflect the google description. Your hipster brand most likely won’t fit in too well in the family oriented neighbourhood. Aren’t you glad you only rented the venue for the weekend! What better way to test the perfect location than to experience it first-hand? Shop sharing – For those brands that don’t need a full space, shop sharing can be a great option. If you have a small amount of inventory, a few shelves or a corner of a store is more than enough space. Shop sharing can also expand your customer base by introducing your brand to people who are already shopping in your shop share location. You may also find the perfect brand pairing. Your wine tastings may be just what the customers in a specialty olive oil shop are missing. Pairing brands can help you find synergy with other companies and could lead to future projects together. Shop sharing is also great because you have built-in employees. Being present in the store every day isn’t always a feasible option, but through shop sharing there is someone ready to run the store. Meet customers in person – Emailing can only get you so far when it comes to getting to know your customers personally. There’s value for brand owners to have face to face interaction with customers and allowing those customers to interact with the products in a way they can’t experience online. In store shopping is all about the human experience. Ninety-four percent of total retail sales are still generated in brick-and-mortar stores and having a physical presence could help drive business to your online store. It’s a great way to market and advertise your online business in a simpler and less expensive way than online advertising. Create an urgency – What makes you click “order cart” faster than seeing the sale ends at midnight or the store is almost out of stock? A temporary shop creates that same urgency to purchase or attend. Nothing is more exclusive or sells tickets faster than having a supper club available for just one night. Customers are experiencing a once in a lifetime event and creating that fear of missing out is sure to bring crowds. Wondering how to get started? We Are Pop Up provides the ability to book full locations, shop share locations, and enables brand-to-brand communication. Register your brand or location at www.wearepopup.com and get started on the pop-up of your dreams!